David Paul Collins’ new book, Shanghaied, has been published and is already recognized in the Barnes & Noble Rising Star Special Collection. Shanghaied is based on a true story lived by David Paul Collins as a young merchant seaman in the 1950’s. The events he survives and the compelling characters in the crew are woven into a fictionalized adventure by a skilled storyteller. The novel begins when Jack Sligo, 15, runs away from a loving Boston Irish family hoping to get a summer job on a cruise ship. He has no luck on the gritty docks of New York and hitchhikes to a seaport in Alabama. While looking for a ship Jack meets two German seamen and accepts their invitation for drinks and a taste of night life. Hours later, Jack wakes up racked with pain on a ship far at sea, drugged, kidnapped, “shanghaied” aboard a monstrous African freighter, the S/S Iron Prince. Unbeknownst to Jack, a Cayman Islander who is the ship’s bo’sun, Manor Nelson, protects him from members of the crew who would have made Caribbean pirates seem like drawing room gentlemen. Jack Sligo is the narrative voice of author David Paul Collins. 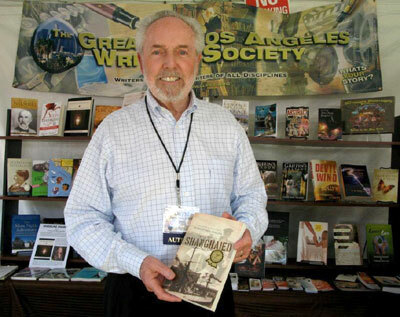 In his new book Shanghaied, Collins weaves a tale based on his own experiences in the 1950’s aboard a Liberian merchant ship plying the oceans of the world. For more information, please visit ShanghaiedtheBook.com and the blog JackSligo.com. Email the author at David@JackSligo.com.